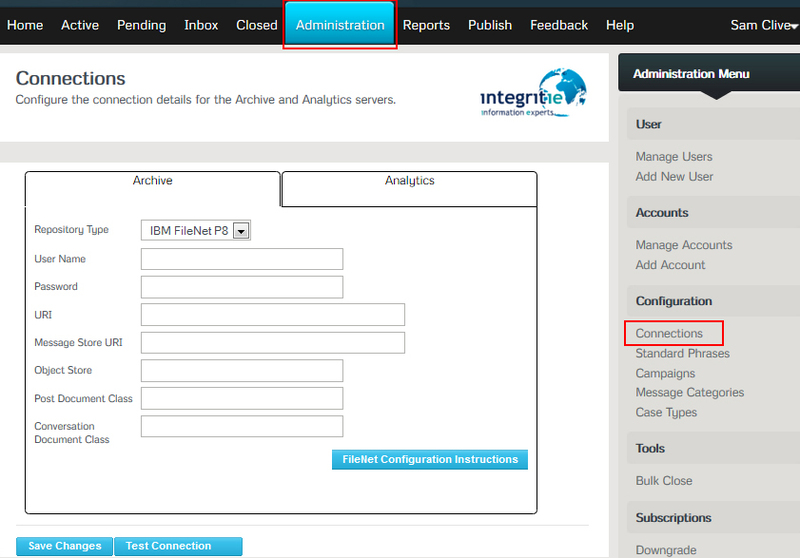 SMC4 enables users to capture, classify and archive social media messages into any Content Management system, such as IBM FileNet, CMOD, Microsoft SharePoint and OpenText, through our open standard API, providing a central long term archive for e-Discovery and Legal compliance to search and access. This is a first no other software provides this level of integration. SMC4 integration delivers transactional and safe integration between SMC4’s capture platform and connected ECM systems by using the CMIS standard protocols. SMC4’s powerful Social Media capture and connected ECM system provides a consistent process for securely capturing all Social Media messages. 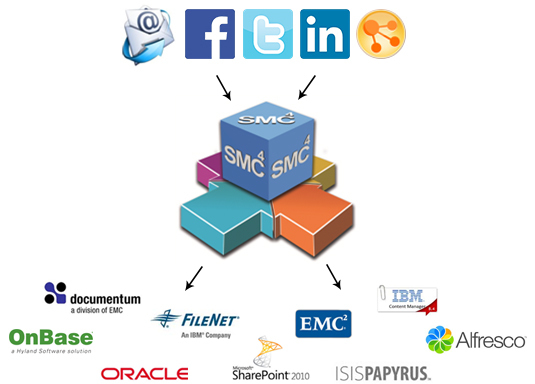 SMC4 integration accelerates business process by collecting Social Media messages and transforming them into accurate, actionable information and delivering them into the corporate ECM system for archive or workflow processing. Try SMC4 Lite for free now, and enable your social media data to be stored in your existing repository.